Online Pre Registration is now closed. Please join us Sunday August 21st, 9-11am at TSI Columbia Harley Davidson to register in person. 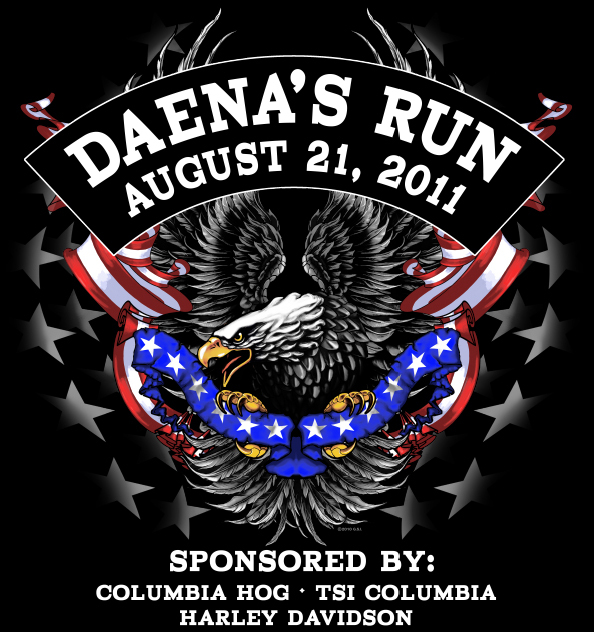 Thanks for supporting Daena's Run!